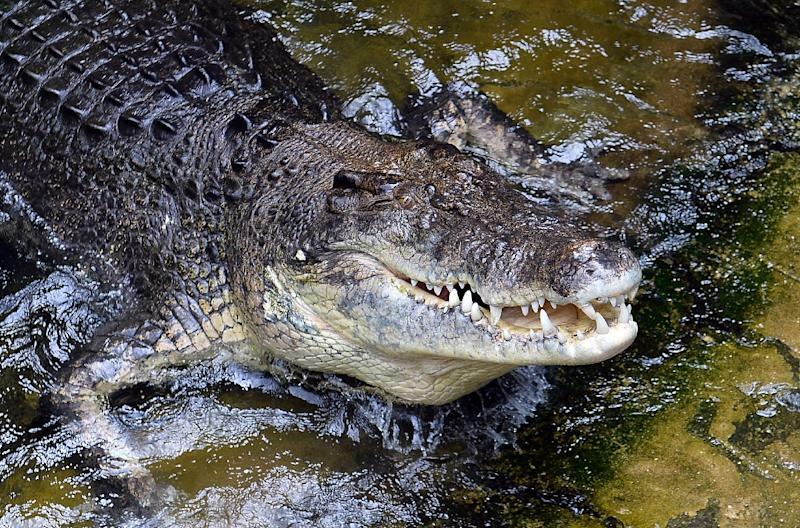 Sydney (AFP) - A 19-year-old on a family camping holiday in northern Australia had a lucky escape Monday when he fought off a crocodile which bit into his foot as he slept. The reptile struck at about 4:30am as the group slept at their campsite in the Northern Territory. Peter Rowsell told the Australian Broadcasting Corporation he was woken by something "shaking" his right foot. "I was sleeping in a mozzie (mosquito) net, and ... I woke up and there was something shaking my foot, and I woke up and had a look and it was three to four metres long," he said. He said he hit the reptile "once or twice" on the head and it went back into the water. His screams woke his fellow campers who drove him to hospital, more than two hours' drive away. Department of Health spokeswoman Gail Liston confirmed a man was treated in Katherine Hospital after the attack in the Douglas Daly region south of Darwin. "He was bitten on the right foot by a crocodile," she told AFP. "He has puncture wounds." The man's injuries were not life-threatening, she said. Rowsell told the ABC he was not sure whether the crocodile was a freshwater variety or the larger and more feared saltwater type. In January a crocodile bit off a woman's arm in a "death roll" at a creek in a small town in neighbouring Western Australia state. The reptiles are common in Australia's tropical north. Numbers have increased since the introduction of protection laws in 1971, with estimates putting the Northern Territory's population in the wild at about 100,000. In 2015 more than 250 of them were removed from waterways around Darwin, the capital of the Northern Territory, including a 4.25 metre-long (13.9 feet) male. Despite the dangers they pose for swimmers, boaters and fishermen, the Australian government in 2014 rejected the idea of crocodile safari hunts -- saying there was a danger of "cruel and inhumane" behaviour.